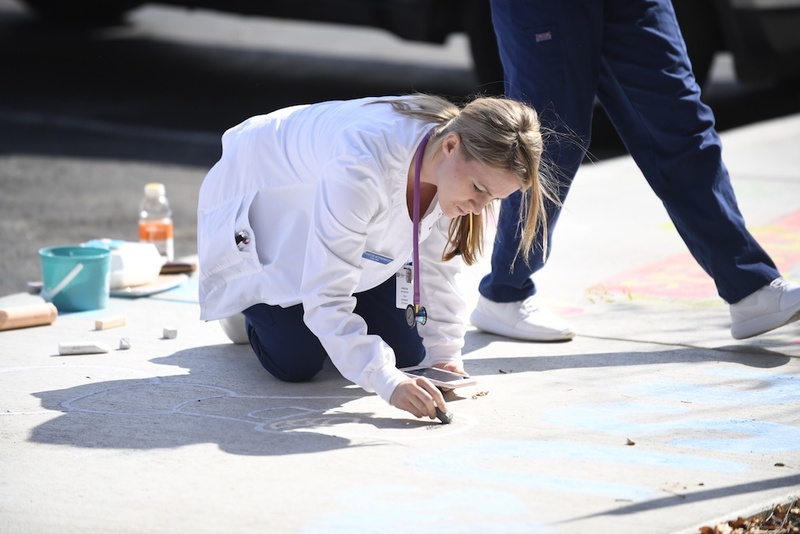 Heather Polacek (foreground) from the Peds Specialty Offices, and the team of Jill Fabry, Chelsey Rhodes and Meghan Skiba from the Pediatric Inpatient Floor diligently work on their squares. 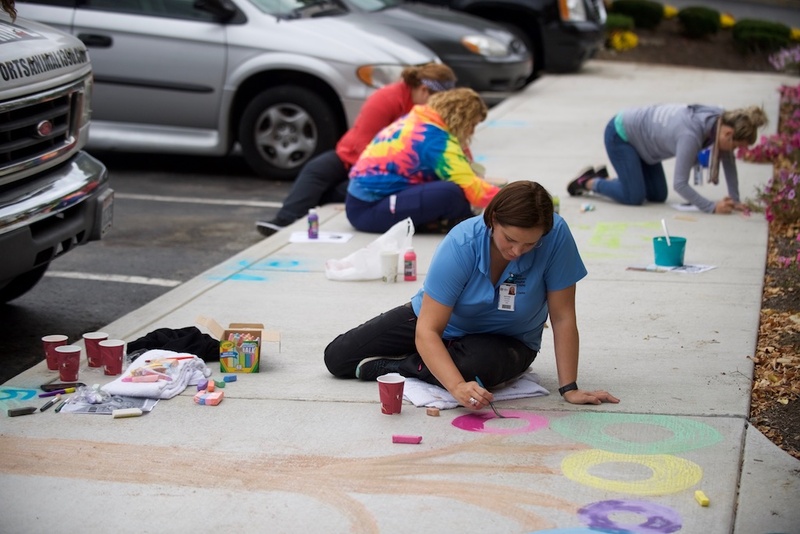 Hospital staff and patient families showed their sidewalk chalk art creativity while enjoying a little friendly competition on Day 2 of the Mahoning Valley Miracles & Promises Radiothon at the Beeghly campus. 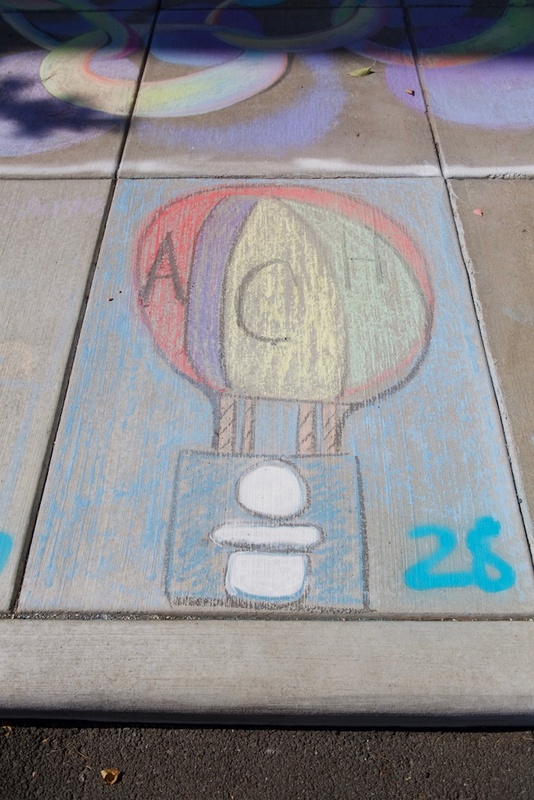 The Parent Advisory Council (PAC), comprised of families who’ve received care at Akron Children’s, coordinated the Chalk the Walk event, which also included summer treats and children’s activities. 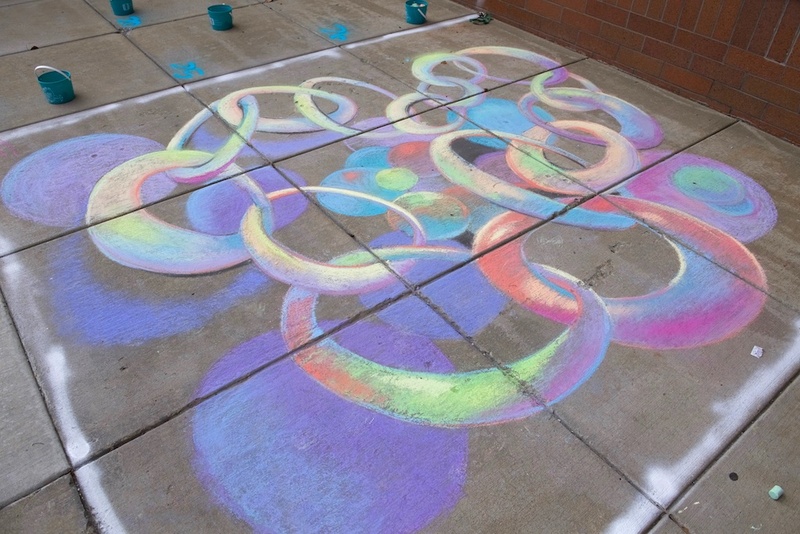 Thirty sidewalk squares were completed throughout the day. The two-day Radiothon raised $319,304 to benefit services at Akron Children’s Hospital Mahoning Valley. 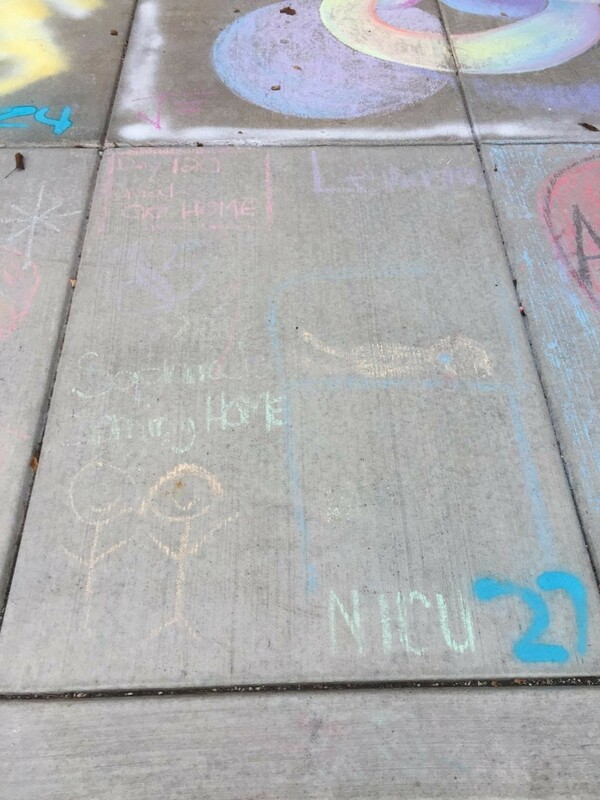 Judges chose this heartfelt entry called “Sophie coming home” as the “Best Family Square” drawn by the LeMasters family of Youngstown. 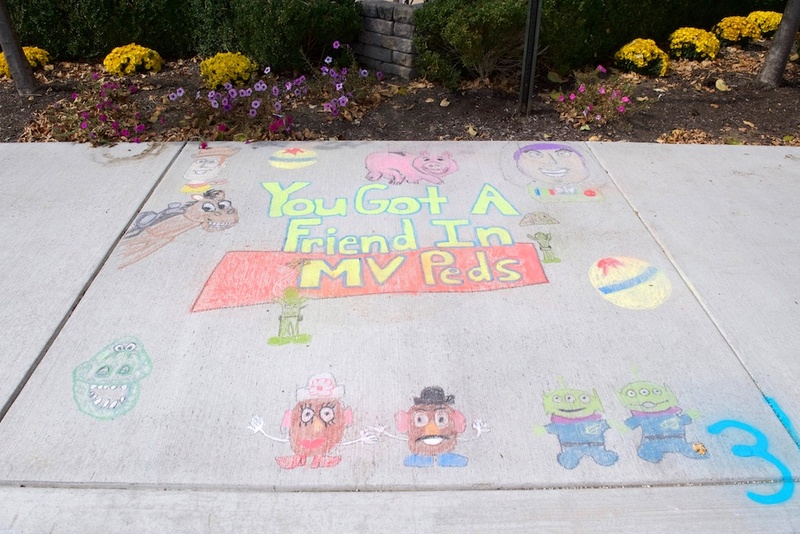 Meghan Skiba, Jill Fabry and Chelsey Rhodes from the pediatric in-patient floor won “Best Staff Square” with their Toy Story-themed drawing. 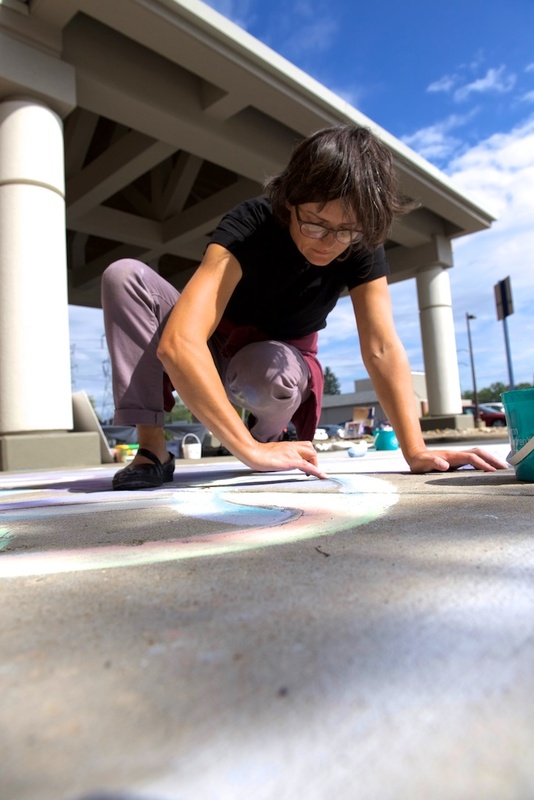 Local artist and Youngstown State University art professor Dragana Crnjak created a unique chalk mural as part of the event. Local artist Dragana Crnjak works on their impressive square. 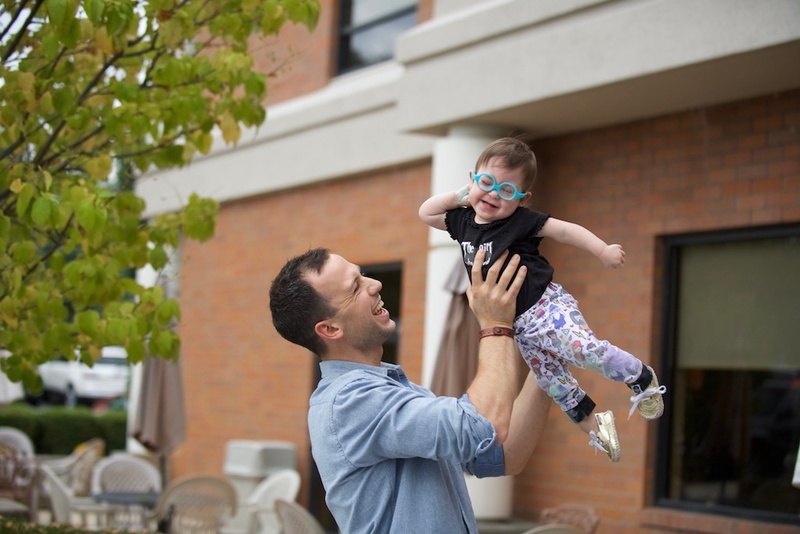 Josh Osborn and his daughter enjoyed the event after sharing their Akron Children’s experience on the Radiothon broadcast.